How to Attain Content Mastery? We all know that content is a great tool to grow the brand. It helps to establish relationships, thought leadership and then generate new leads for business. Content posting is becoming popular nowadays. It serves to be a popular inbound marketing strategy. Companies that create content for prospects and customers to get experience that is greater than success is useful to gain new customers and their attention. With the help of content, companies can easily communicate and get involved with their prospective customers. Creating quality content as well as posting on several blogs, social media as well as your website can improve SEO, attract new prospects and then engage with larger audience. So far we have seen, content creation has not always resulted into immediate success. This may be due to lack of proper quality. Here, in this blog post; we have included seven such strategies that must be borne in mind before posting on social media, blogs in order to improve the quality of your content. Write content from audience view point: Before you start writing content; keep your specific audience in mind. You must have answer to the questions like the type of people you think will read the content, their traits and how writing can be adjusted to manage those traits. Make sure to phrase your statements and prepare your writing in such a manner that it is easily understood by audience. This can be making your writing funny, direct, light or serious till the time you are successful in fulfilling the expectations of your customers. Be to the point: If you can explain things in few paragraphs; don’t elaborate them. Always try to keep it short so that readers don’t get scared with the content length. Force readers to take action: Your content should be such that readers are forced to act. Always try to take benefit of readers’ excitement which is developed through the entire article. This will compel them to purchase a product or provide contact information. One such example of call to action is “Click here to learn more” or “Click to download now”. Get involved: Your readers must be invited with your interesting writing that has ideal customer in mind. It must feel that you are speaking directly to your customers. It is not always easy to create engaging content. The need for such content leads to the birth of companies that work with bloggers in order to create attractive content. 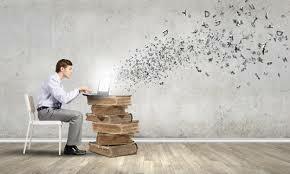 Some of the well known firms that create attractive content are TopContentWriters.co, Fiverr and Arbor Services. Share your content: Once you have written quality content then it is time to make sure that it reaches to your target audience. You can share the content by posting on blogs, social media as well as your website. Add references for credibility: Reference from credible sources helps to develop one’s own reputation and credibility. This includes links to powerful brands and names so that you can show these to the readers. Include Images: Using images is one of the best ways to engage viewers. People usually click on articles that have attractive pictures and these people are likely to continue reading articles in case the text is broken by relevant attractive pictures. Next time when write content for your business then make sure that it is of good quality and also reaches to your target audience. The content must include things that actually attract users. Let us know how this blog post was helpful to you. For more such tips and tricks, stay tuned to Platinum SEO; SEO experts Adelaide.